Now offering online food handler and food manager training! In partnership with StateFoodSafety.com, we are now offereing online courses for food handler training and manager certification training. The food handler training is an excellent 90 minute entry level course into food safety; this course includes a test and a certificate upon passing the test with a score of 70% or better. The manger certificate training is just that, a training. This 8 hour course prepares an individual to take one of the four national manager certification exams, ie. Serv Safe. Classes are held in the basement of the health department. Upon successful completion - a certificate is issued to the participants. To register for a class call the Perry County Health Department at 573-547-8589 or please submit the following form: Food Safety Class Registration Form. Submit the form by mail, fax or e-mail. Our Local Health Department is contracted with the State of Missouri to inspect, monitor, and educate. Therefore these food handler classes will be offered in accordance with the presently adopted State Food Code. Stay Educated - Stay Safe - Stay in Business! The Perry County Environmental Department Inspects Food Establishments Regularly. Site specific training is offered as well. Always feel free to call and speak to the Environmental staff to make arrangements for a class that fits your type of business. Missouri Department of Health and Senior Services (MDHSS) contracts with Perry County Health Department (PCHD) to respond to emergency incidents involving food such as truck wrecks, train derailments, fires, floods etc. An inspection and assessment of the food is conducted as soon as possible after the incident. The purpose of the program is to prevent damaged human food from re-entering commerce. The Environmental Public Health Specialist and staff are on call 24 hours a day, seven days per week. 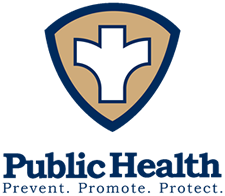 When an incident occurs, the Missouri Highway Patrol or local law enforcement will contact the Missouri Department of Health and Senior Services Situation Room who in turn contacts the PCHD. The Environmental Specialist will respond as needed. Please phone the Perry County Health Department at 573-547-6564 for information pertaining to Safe Food Salvage.